Customization is the hottest feature of the year for ladies drivers. 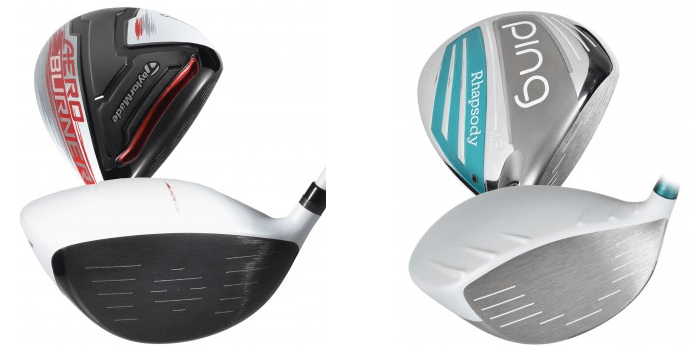 What makes these clubs so popular? Adjustability. The best ladies drivers have a variety of new high-tech features like an aerodynamic shape and improved hosel design. And there’s something we’ve been looking forward to this year: turbulators. The result is a more personal and practical feel to every swing. Here are a few of our favorites we’ve chosen for you. 1. Ladies TaylorMade AeroBurner Driver. It’s all about increasing distance. Four important features make the AeroBurner special: an advanced 460cc aerodynamic shape, a rounder toe, a raised center crown and the Aero Hosel fin. Also, you should know about the new, enlarged Open Channel Speed pocket. It’s twice as long and much deeper and wider than previous drivers. 2. Ladies COBRA Baffler XL Driver. COBRA’s team has engineered the Baffler XL driver with gorgeous good looks. Its low, shallow face results in higher launch, lower spin and increased distance on off-center hits. This club is more forgiving because it maintains speed on mishits. The Baffler will help you look and play the part. 3. Ladies PING Rhapsody Driver. Get a great feeling of consistency with the Rhapsody. A lite graphite shaft gives a whippier feeling compared to typical men’s shafts. G30 driver turbulators on the crown produce a sound, quick feel to drives. A lower center of gravity position boosts the ball across the greenway. Ladies drivers will become more efficient and adaptable in the coming years. It’s all about ball speed, launch angle, spin rate and that personal “feel” a player experiences when holding a club.